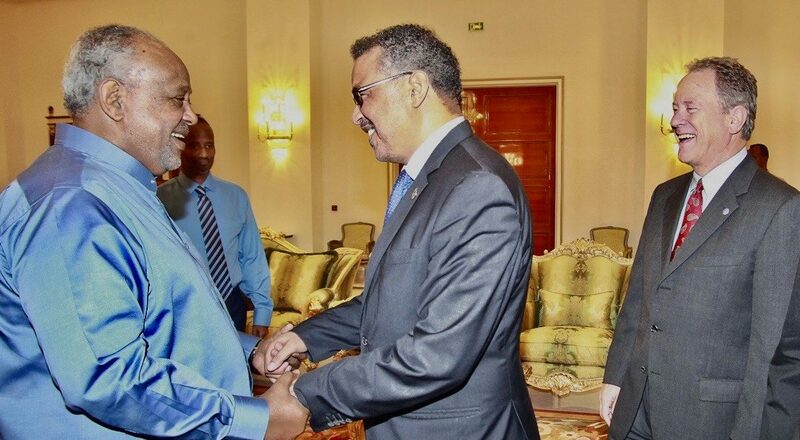 On 23 July 2017, senior United Nations officials met with Djibouti President Ismail Omar Guelleh to discuss cooperation of the UN agencies in the country. UN chiefs Tedros Adhanom Ghebreyesus, Director-General of the World Health Organization, David Beasley, Executive Director of the World Food Programme and Anthony Lake, Executive Director of UNICEF, committed to supporting the achievement of the Sustainable Development Goals, with a focus on malnutrition. Anthony Lake, Executive Director of UNICEF and Chair of the SUN Movement Lead Group. David Beasley recognised Djibouti’s key role in responding to humanitarian crises in the region. He praised “the strategic and central role” played by the nation. They also discussed a new UN Development Assistance Framework (2018-2022) due to being submitted to Djibouti. It aims for greater synergy and complementarity among UN agencies, funds and programmes to support Government efforts and increase the multiplier effect of contributions to development.